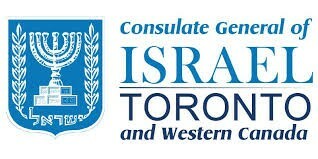 A representative of the Israel Consul will be in Calgary on the day of Sunday, November 25th and the morning of Monday, November 26th at the Calgary JCC. Submit an INTAKE FORM. Following your submission, you will be contacted directly by the Consul to set up a formal appointment. For information about setting up an appointment, email Ilana. Otherwise, visit the Consul website for all other information.